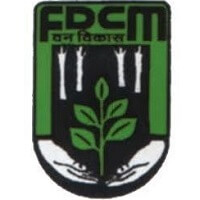 FDCM Recruitment 2019 – Forest Development Corporation of Maharashtra Limited (FDCM) announced 65 Forest Guard (Group C) vacancies. The detailed eligibility and application process are given in below. Educational Qualification: H.S.C. or its equivalent in science with minimum of 50% marks. The candidates shall have Marathi language in S.S.C. or shall have certificate of any recognized Board to the effect that the candidate is conversant in Marathi language equivalent to S.S.C. Board. Weight – Correlated weight as per height and age. The selection process will be based on Written Examination, Physical Standards, Physical Efficiency Test & Interview. The written examination conducted for 120 marks for 120 multiple choice questions. For each correct answer have 1 mark. There will be negative marking. For each wrong answer, 0.25 marks will be deducted. The scheme of examination will be based on HSC Standard. Mode of Payment: Online mode through Debit Card, Credit Card, Net Banking or Pay Offline through E Challan. How to apply FDCM Recruitment for Forest Guard? All interested and eligible candidates apply for this position in online latest by 21 February 2019. Last Date for Submission of Online Application: 21st February 2019. Date of Written Examination: Will be announced later.